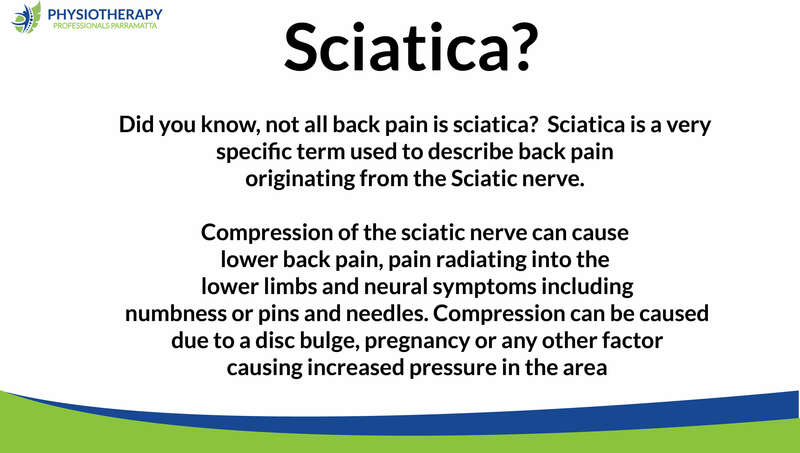 Did you know, not all back pain is Sciatica? Sciatica pain treatment: Sciatica is a condition characterized by pain which shoots down the leg from the lower back. This pain may go down the back, outside, or front of the leg – depending on which nerve is affected. Typically, symptoms are only on one side of the body. It is rare to feel symptoms bilaterally. Certain causes can result in pain on both sides. Lower back pain is sometimes but not always present. Weakness or numbness may occur in various parts of the affected leg and foot. Suffering from Sciatica Pain? Did you know the Sciatic nerve is the largest nerve in the human body? Pain which can originate in your lower back and travels into your leg with or without pins and needles, numbness and burning sensations can be associated with Sciatic nerve pain.